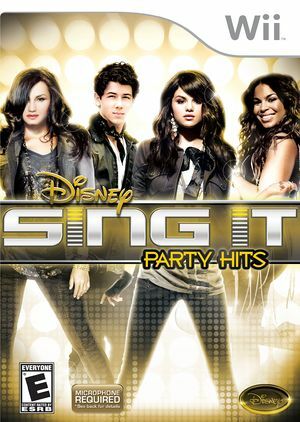 Disney Sing It: Party Hits will feature songs and music videos from today's top artists including Justin Bieber, Black Eyed Peas, Jonas Brothers, Jordin Sparks, Owl City, Paramore, Selena Gomez, Ashley Tisdale, Kelly Clarkson, One Republic and many more. In addition, Demi Lovato who has released chart-topping solo albums, will assist players by providing various ways to be a better performer. This will include basic exercises from breathing and pitch, to more advanced exercises such as learning how to harmonize in a duet. The graph below charts the compatibility with Disney Sing It: Party Hits since Dolphin's 2.0 release, listing revisions only where a compatibility change occurred.